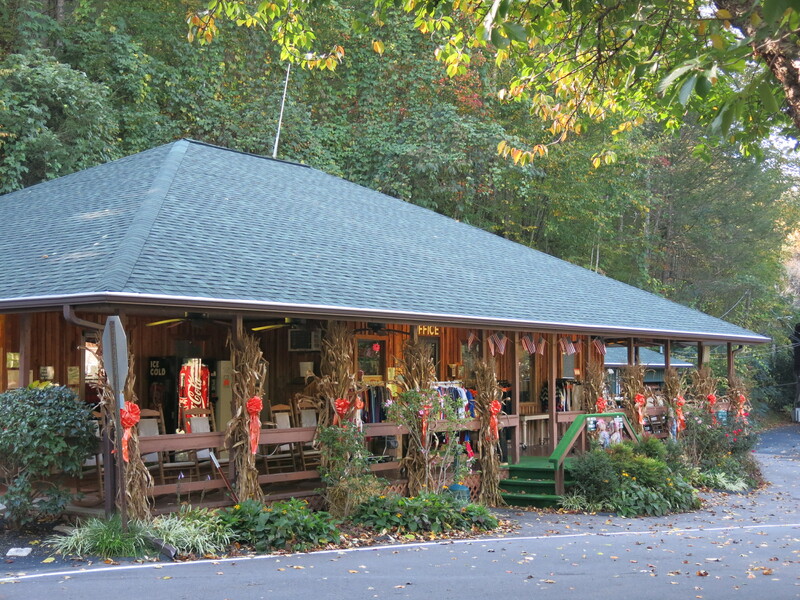 The Campground we are staying at is Twin Creek RV Park, in Gatlinburg, TN. 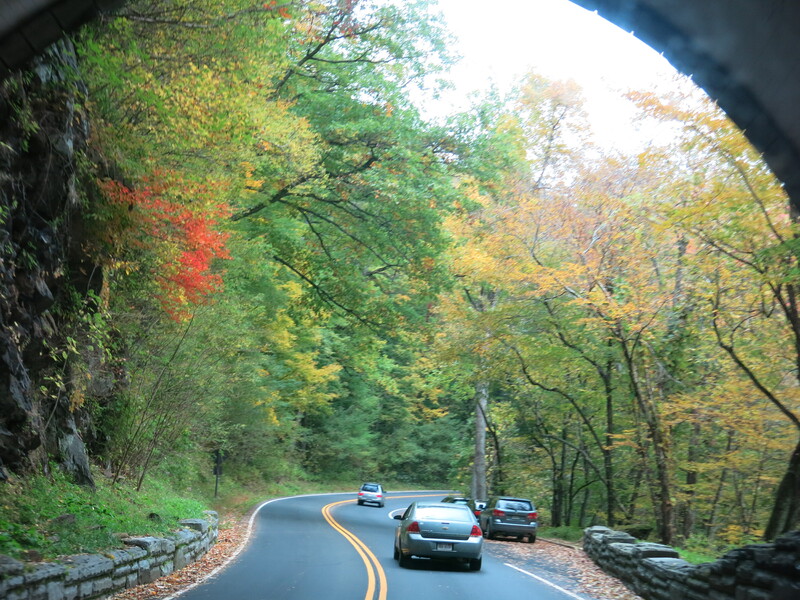 We have found back roads and the Foothills Parkway to detour around the city of Gatlinburg. I find it a jarring experience (think totally touristy shops, restaurants, entertainment etc.) 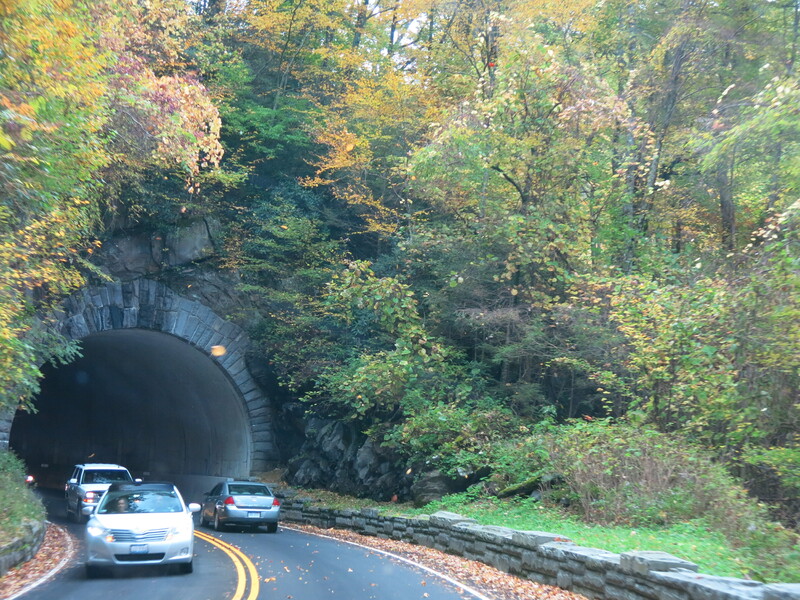 driving through the center of town after spending time in the National Park. The sites right next to us are empty but I am sure they will fill this weekend. 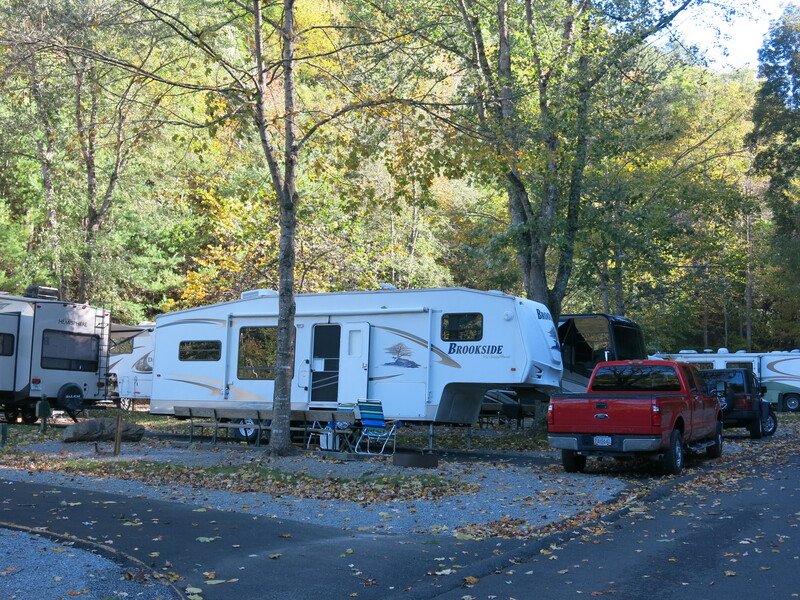 The campground gets into it, too. 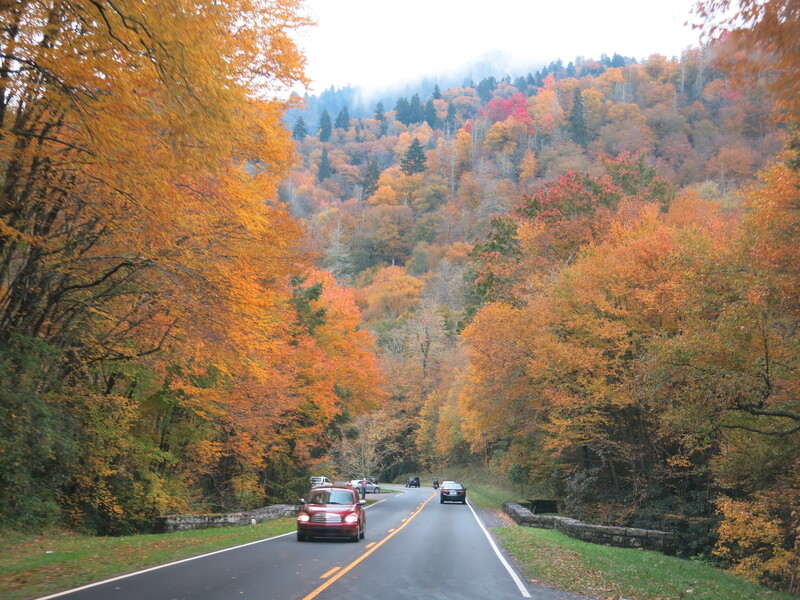 Monday, we decided to go back down Newfound Gap Road to see more peak fall foliage. 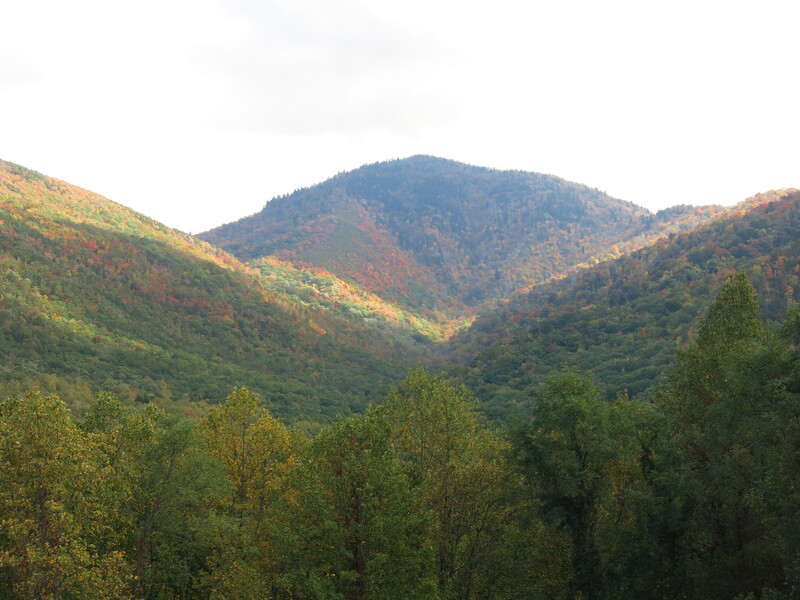 The weather forecast for the next five days calls for lots of rain and wind, and this might be our best chance for peak colors… The Tennessee side of the park where we are staying, is still pretty green and has at least another week to go for some color. 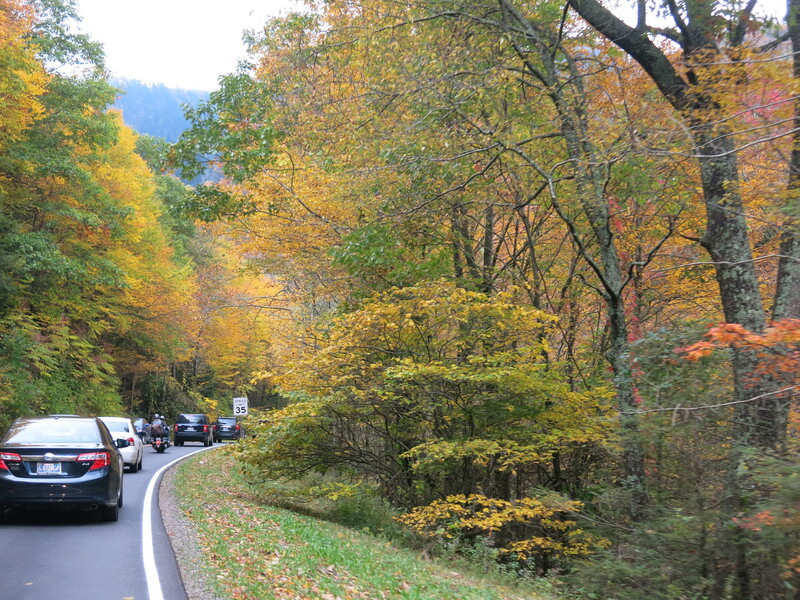 We continued past the crowds at Sugarlands Visitor Center and along Newfound Gap Road. 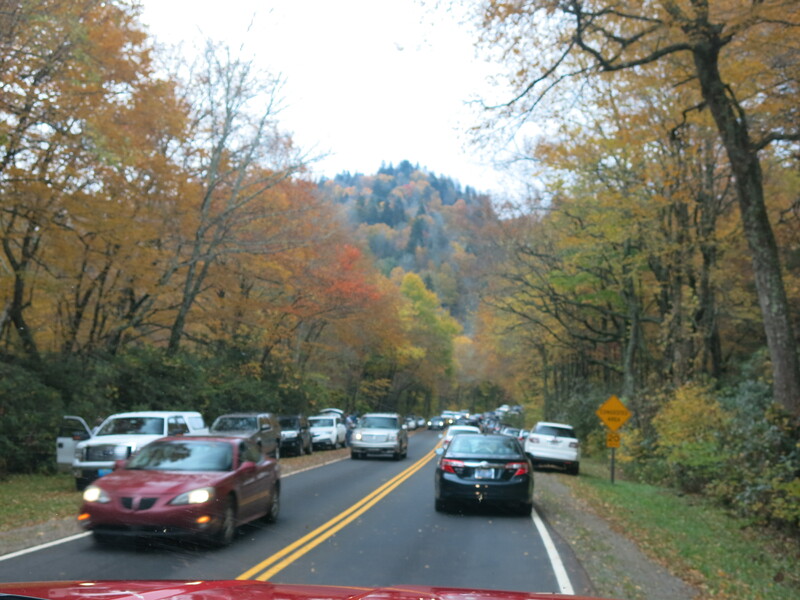 The traffic was extremely heavy, and it finally dawned on us that it was Columbus Day – a three-day holiday for many. 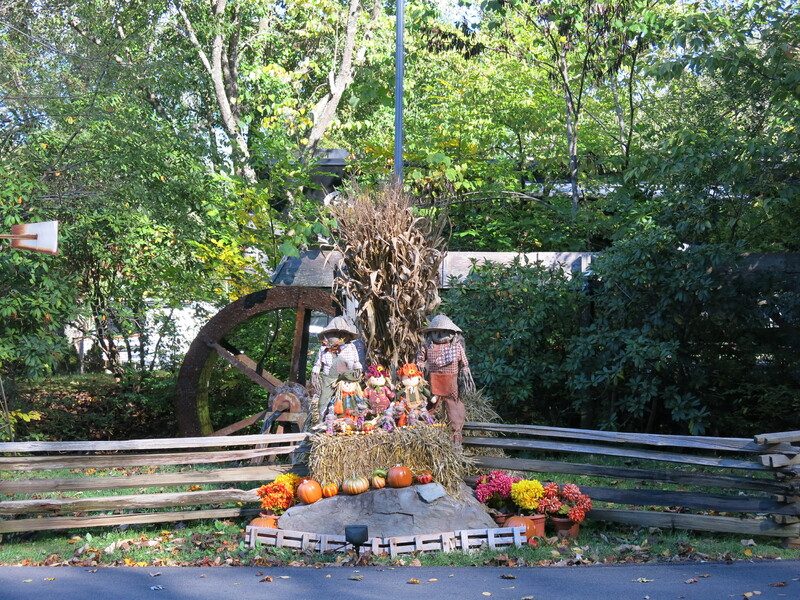 We decided to keep going a bit and try and enjoy the foliage. 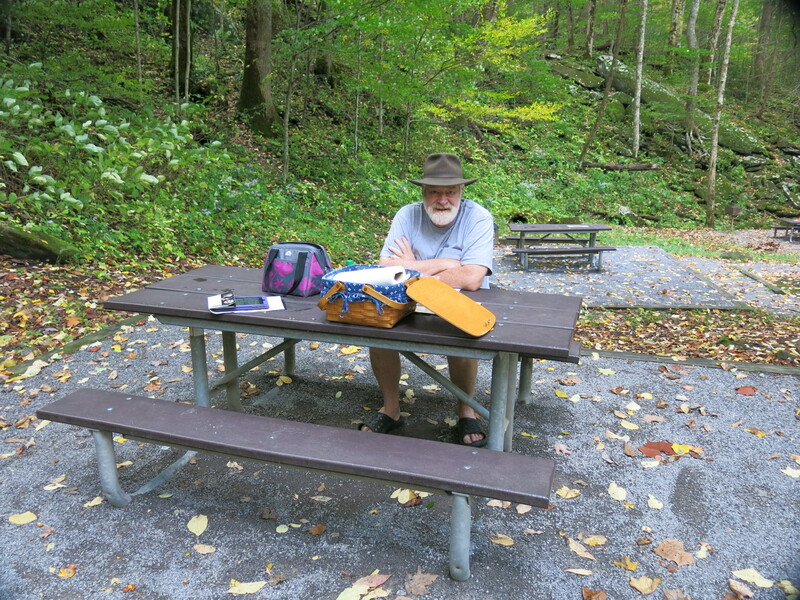 It was hard to park Big Red in overlooks and deal with all the other park visitors, so we decided to drive over to Chimneys Picnic Area and have lunch, and head back to our campsite. 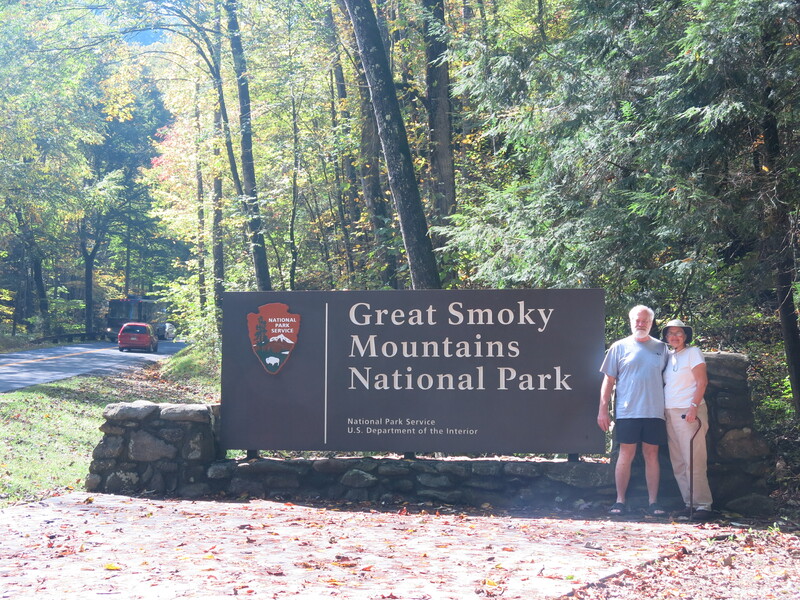 We have lots of time in the Smokies and lots of things we would like to do. 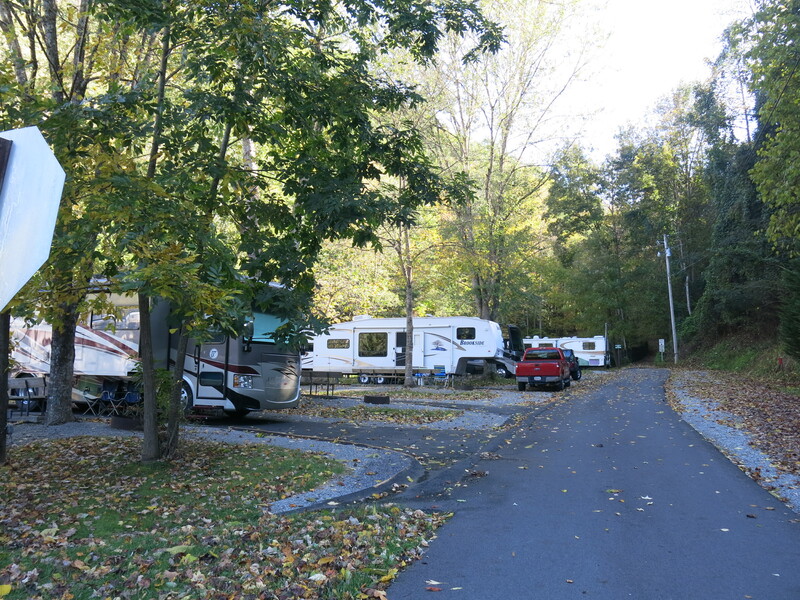 We made our way back to the campsite, and enjoyed the peace and quiet of a beautiful evening outside. 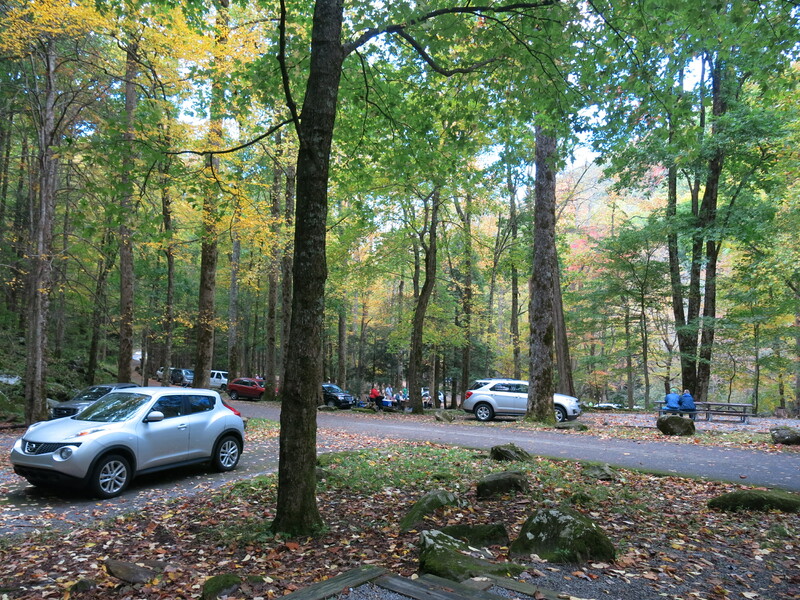 This entry was posted in Campsite, Fall Color, Tennessee and tagged Chimneys Picnic Area, Foothills Parkway, Gatlinburg, Newfound Gap Road, Twin Creek RV Park. Bookmark the permalink. 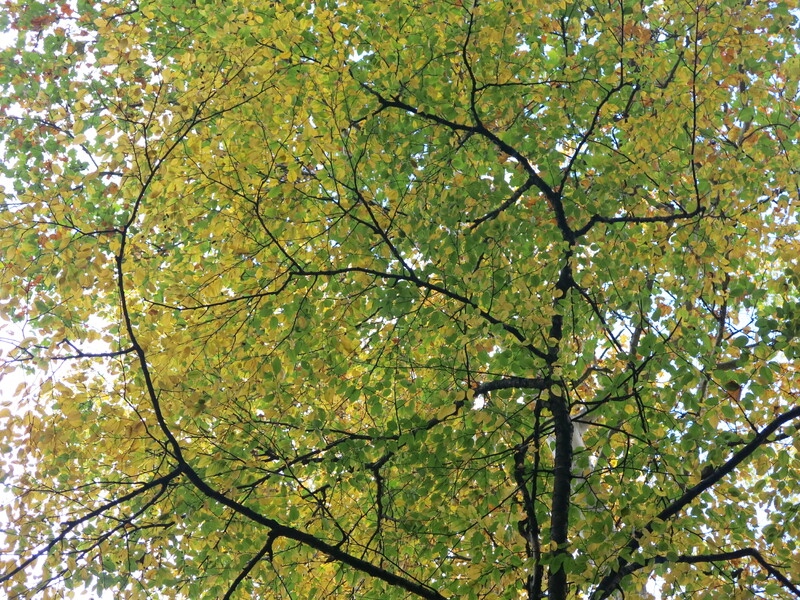 You got some gorgeous photos of foliage. I love the reds!! That is a color missing out west although some of the aspens do get a brilliant orange. Too bad so many others decided to make the same trip. 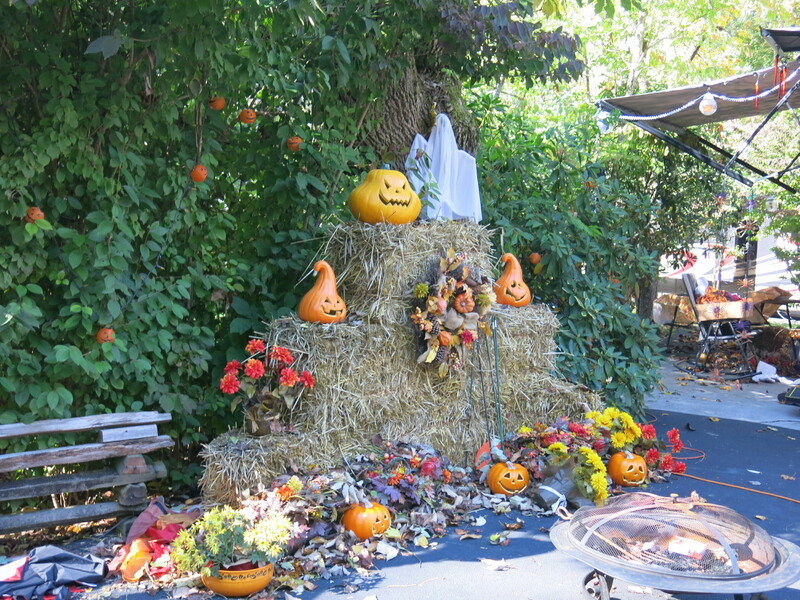 Campgrounds in the east do enjoy decorating for Halloween. There are some very nice displays. Enjoy your time in TN! 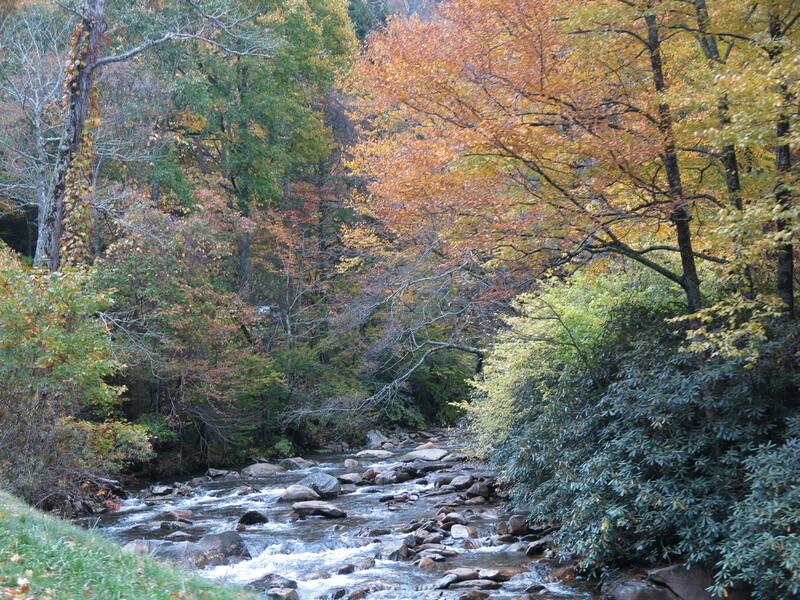 The co.ors are mostly in the North Carolina part of the park. 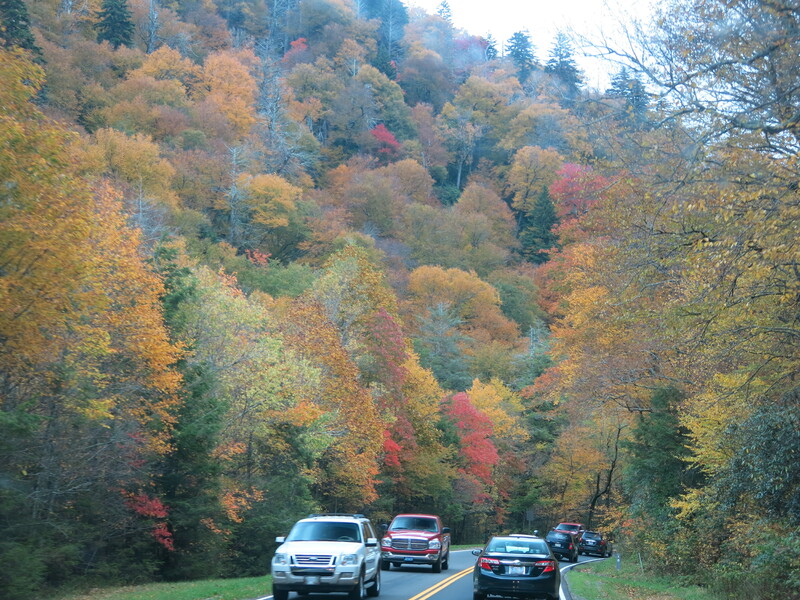 The colors in Tennessee are holding green, stubbornly. We have five more nights in the forties, and highs around 60. 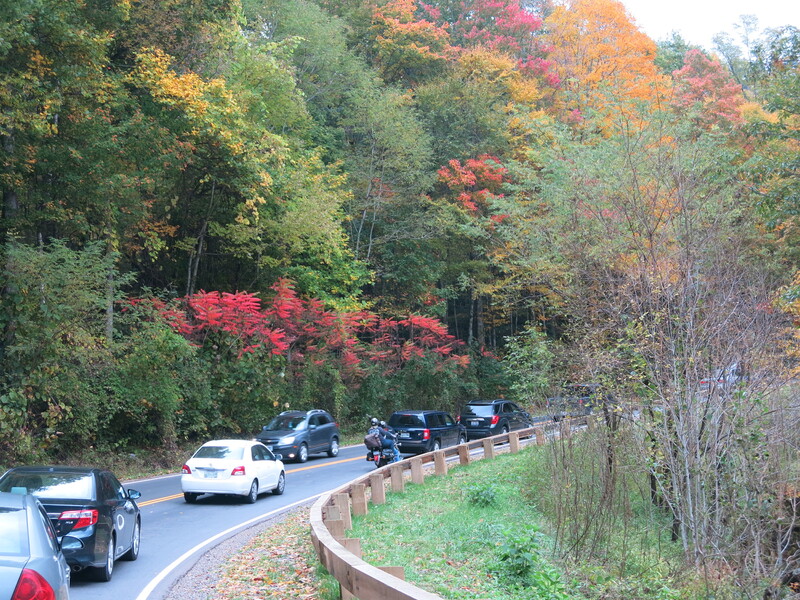 Maybe the cool temps will nudge the fall color process! 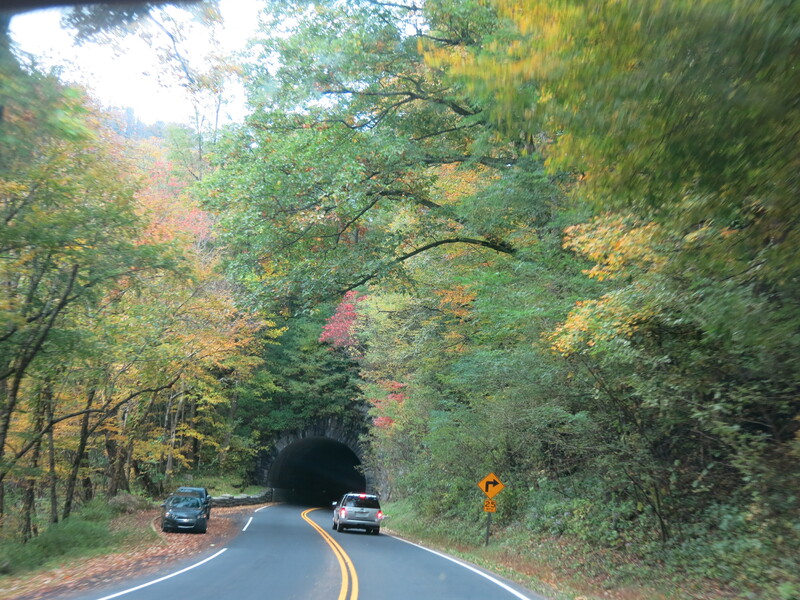 The fall colors are spectacular and your photos are wonderful! What a great trip! Thanks Beth. 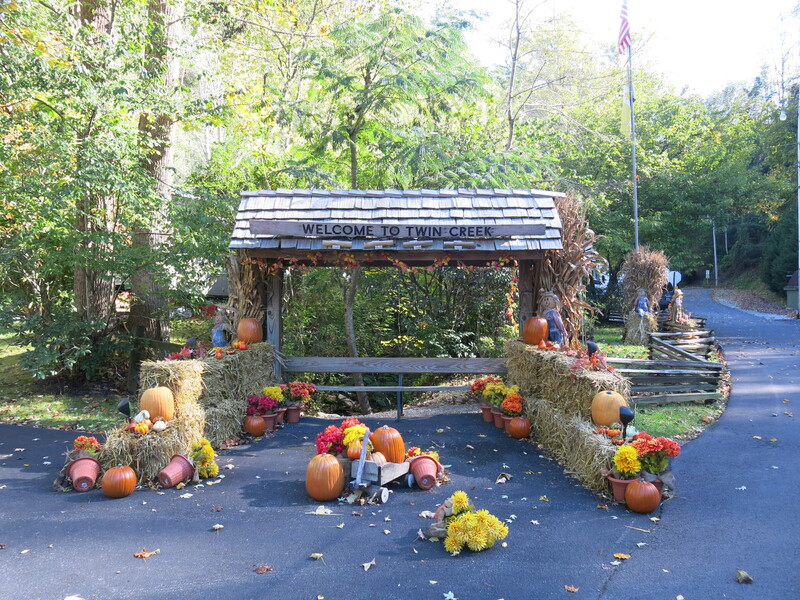 We are definitely enjoying our fall anniversary trip. Celebrating 41 years today! 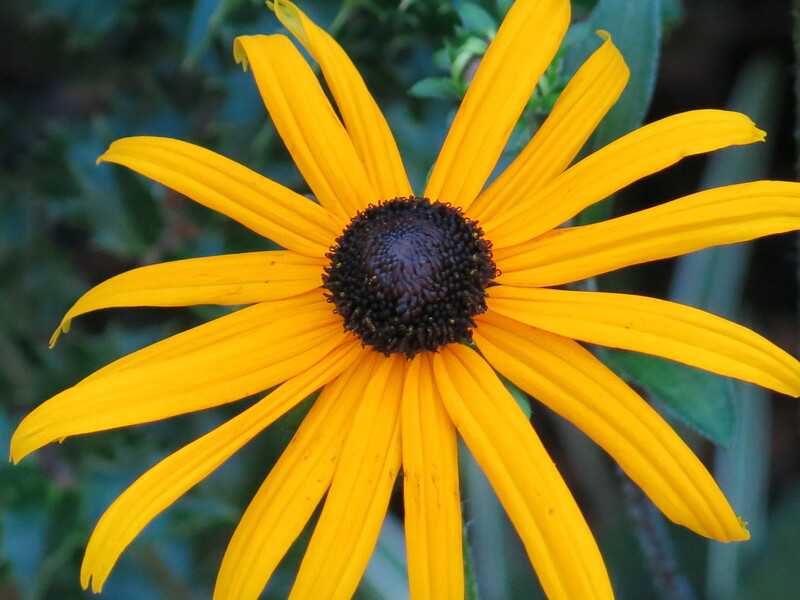 Glad you are seeing some great fall colors. 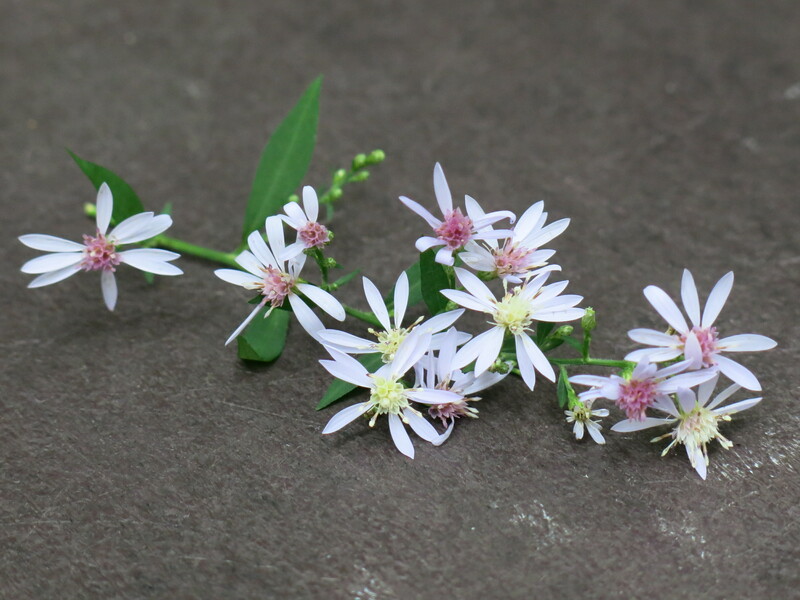 I saw some in NC this weekend. Sure miss those colors on Tybee. I just saw your family photo on FB… It’s nice you were all able to spend time together. 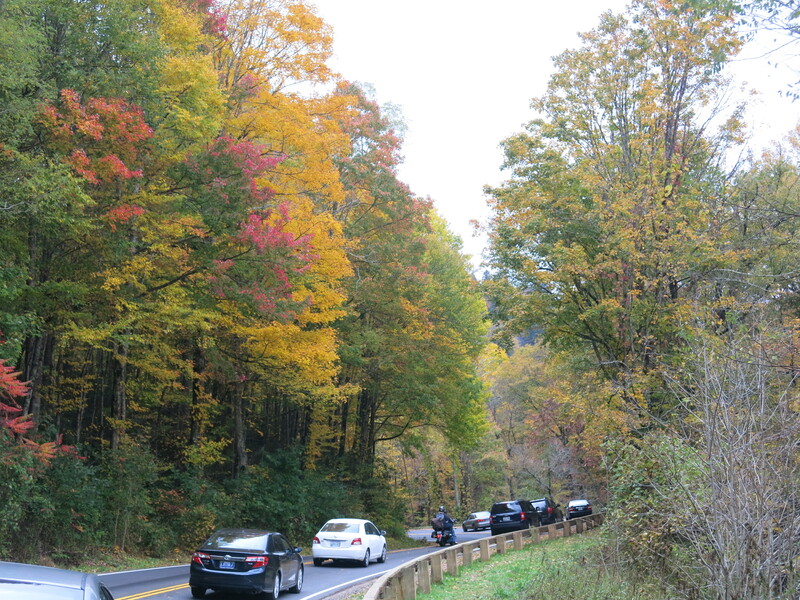 We are really enjoying the fall colors… they have been beautiful this year.